Thanks to one of the many leaks, today we finally have more information on the first smartphone of the new brand of the Chinese company. Highlights include a 5x optical zoom camera and a ToF sensor. In OPPO's strategy it is quite clear how the Chinese manufacturer has decided to innovate the photographic sector of its smartphones. 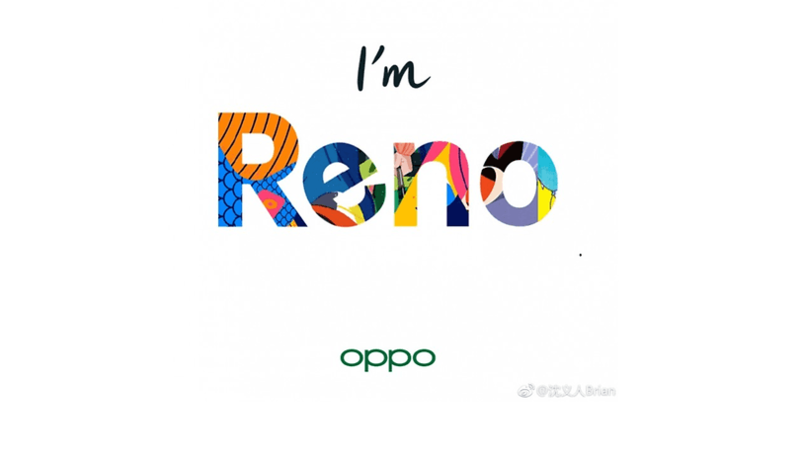 At MWC 2019 it was possible to test its prototype with a 10x optical zoom and a few days later it unveiled its new brand, Reno, with the first device arriving next April 24 in a dedicated event. We already know enough about the Reno smartphone thanks to the information that has circulated on the net in recent days, but this time vopmart.com gives us much more. The online store has revealed a complete list of specifications and colors with a lot of official images. The Reno will be sold in at least two variants: one with 8GB of RAM with 256GB of internal memory and another with 6GB of RAM and 128 or 256GB of storage space. It will be equipped with the SoC Snapdragon 855 and a 4000mAh battery with 50W SuperVOOC charging capacity. The AMOLED screen, with almost no bezels, has a resolution of 1080x2340 pixels on a diagonal of 6.6 inches. The rear of the Reno features three cameras: a 48MP main sensor, a 20MP 5x optical zoom periscope and a 3D camera with ToF functionality. The front camera has a 16MP lens. Since we can't see any kind of notches or holes in the display, it's quite likely that the Rhine will be equipped with a pop-up camera hidden inside the frame. All we have to do is wait for April 24, the date on which the official event of presentation of the device will take place. We, as always, will be present and we will not fail to update you with all the information. Are you curious about this new smartphone?